I’m down to my last can of pumpkin! GASP! Now the big question….do I buy more or do I call it quits?!? Last year I bought more with the intentions of making more pumpkin treats but the holidays came and went, then I was on the post-holiday clean eating kick, and then spring was here. If buying another can means I make these granola bars again, you better believe I will be snagging some up. 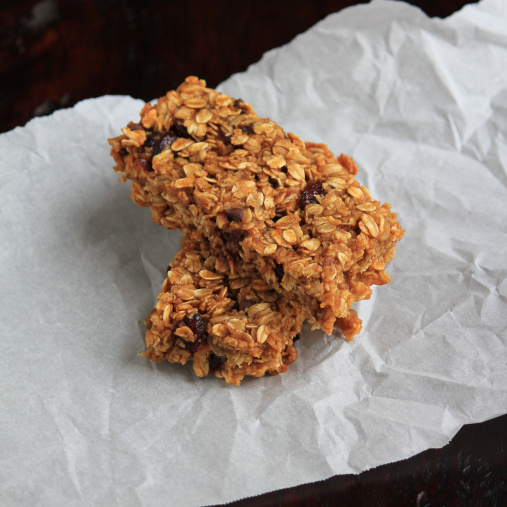 I first made homemade granola bars back in August and fell in love! I knew this time I, of course, wanted to incorporate pumpkin and all the flavors of fall and had no doubts where to start the search, over at Two Peas and Their Pod. 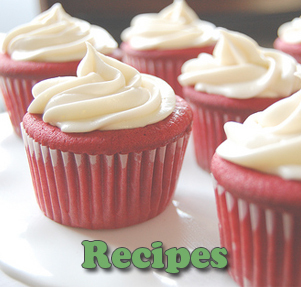 I’ve used Maria’s recipes numerous times and they always turn out great. I was pumped when I saw her recipe because it didn’t call for an egg or any oil!! Woohoo! A healthy breakfast or snack packed full of flavor, nutrients, and a touch of chocolate. Winner, Winner! Oh, the other totally awesome thing about this recipe, the prep works takes like 10 minutes. Happy, happy, joy, joy! 1. Preheat oven to 350 degrees. Spray an 8×8 inch baking dish with cooking spray and set aside. 2. In a large bowl, combine oats, pumpkin pie spice, cinnamon, nutmeg, and salt. 3. In a medium bowl, whisk together brown sugar, pumpkin puree, applesauce, honey and vanilla extract until well combined. Pour liquid mixture over oats and stir together until all oats are moist and ingredients are combined. Next, add chocolate chips, sunflower seeds, and cranberries. 4. Place oat mixture in prepared pan and press down evenly. Bake for 30-35 minutes or until golden brown. Remove from oven and transfer pan to a wire rack to cool. After 5 minutes, cut bars into desired size. Allow bars to cool completely.